The radiometric-capable FLIR Lepton 2.5 is a long-wave infrared (LWIR) thermal imaging core that builds upon its non-radiometric 2.0 predecessors. 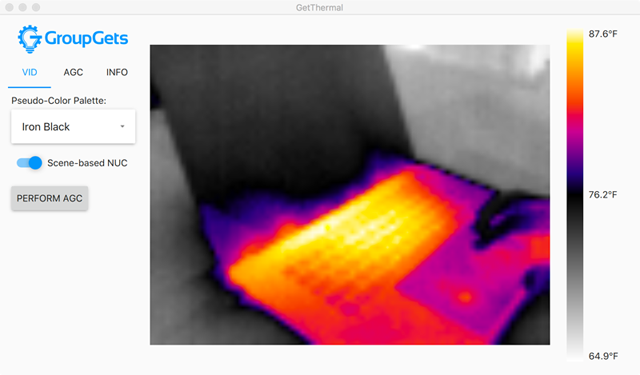 Lepton 2.5 can output a factory-calibrated temperature value for all 4800 pixels in a frame irrespective of the camera temperature with an accuracy of +/-5˚C. Developers have long sought this feature and until now have had to go through very arduous computing and physical processes to make Lepton 2.0 adequately radiometric. With Lepton 2.5, radiometry just works out of the box. Just like Lepton 2.0, the 2.5 core has a resolution of 80x60 pixels in an 8.5 x 11.7 x 5.6 mm package - it will fit into the same socket as Lepton 2.0 and existing Lepton 2.0 hardware will support 2.5 but firmware will likely need updating to utilize radiometry. As with Lepton 2.0, the 2.5's frame rate is 9 Hz with a spectral response wavelength range of 8 - 14 microns (nominal). It can be purchased for under $200 in single quantities. Looking for more pixels? NOTE, the new Lepton 3.5 is now available with twice the resolution as the 2.5 core, an extended operating temperature range, and a larger scene dynamic range. We therefore recommend it for new designs. 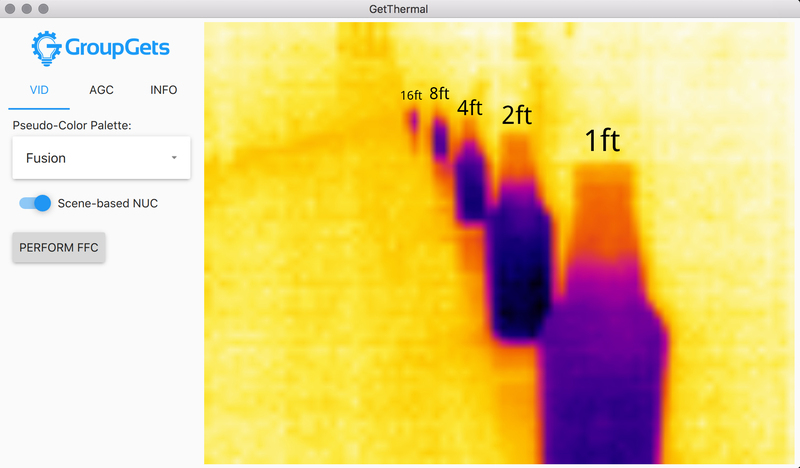 GetThermal Viewer (Linux and macOS) - Has Radiometric Support for PureThermal 1 with "Y16 Firmware"
The PureThermal 1/2 with Radiometric FLIR Lepton 3.5 requires specialized software to show radiometry such as GetThermal.